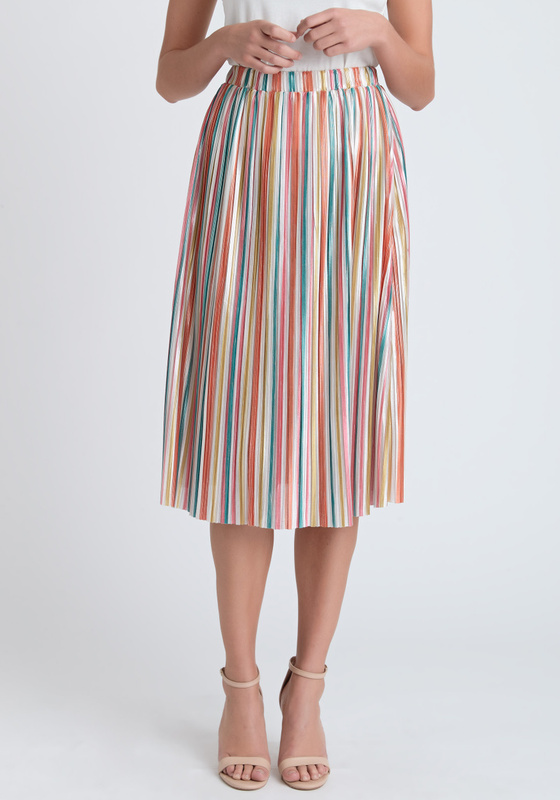 Here comes the real party starter for this collection – Faith Skirt in colourful Carousel Pleat. 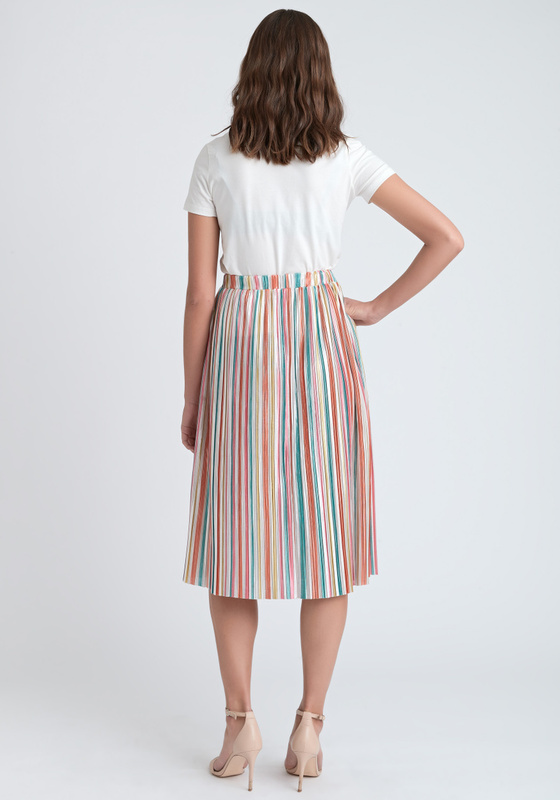 We’ve gathered all the most joy bringing pastel bright colours and put together in this pleated skirt. Dare to be pop and dare to stand out – this skirt is it! Elastic waist band and a stretchy material makes this skirt easy to fit all body types. Its length goes slightly below the knees but you can of course adjust the length by how high or low you’ll wear it in the waist. A-shaped and without lining. The delicate material can only handle hand wash. Spread some joy with Faith Skirt this summer! See also Sunny Long Dress in the same joy bringing pastel carousel pleat.